If you are planing to visit this famous sightseeing spot, you need to read this blog ASAP!! All important information are included here, so you will be ready to explore Nikko by yourself. One of the most visited location of Japan by people around the world, Nikko is famous for rich culture and nature which can be enjoyed all through the year. The most visited time is around autumn (October-December) when maple leaf foliage turns the scenery into colorful shades of orange and red. It also has been registered as world-heritage site where well-preserved historical architectures since 1600s can still be found here. 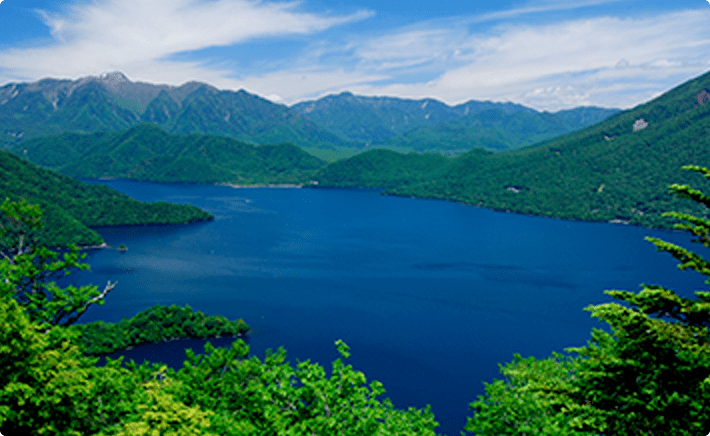 Despite of visiting outside maple leaf foliage season, Lake Chuzenji and Kegon Falls are fantastic places worth visiting especially during summer. You can spend your time enjoying natures and relaxing in the hot spring of Kinugawa Onsen. Normally, many people spend one or two days here and most of them start their trip from Tokyo. 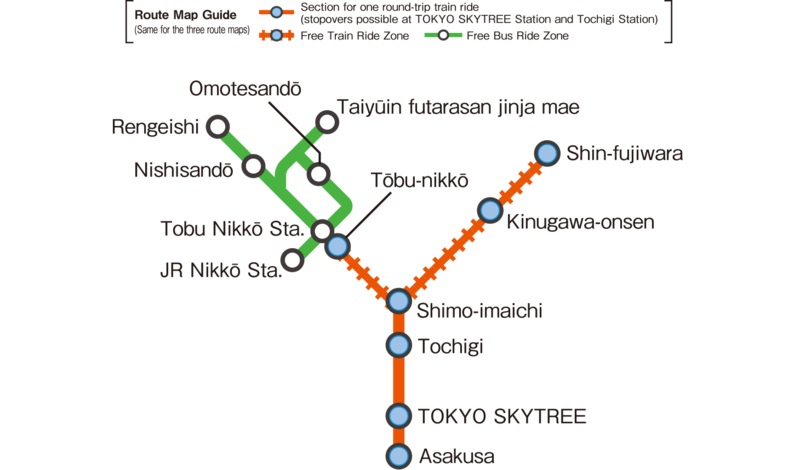 So, it is very helpful to consider buying “Nikko Tobu Railway Pass”. There are 2 types of pass which allow you to design your trip freely and help saving you lots of transportation cost. Discounts on entrance fees at Nikko area attractions. In summary, this is a great deal if you plan to visit Nikko. It is much better than using JR Pass at any cost since JR Pass can just take you to Nikko area, but not all the way to local attractions and it does not include all of previously mentioned discounts. No matter which pass you choose, you have to start your trip at Tobu-Asakusa Sta. Please be careful not to be confused with Subway Asakusa Sta. Ginza Line and Asakusa Line. FYI – if possible, I recommend you to come to Asakusa by Subway Asakusa Sta. Ginza Line. Then, please look for Exit No.7 and there will be connecting tunnel that lead you to Tobu-Asakusa Sta. If you already got the pass, you can go directly to platform No.5, then you will find the only train to Nikko. If you did not, before entering the station gate, there is a tourist center where you can ask more details of Nikko and exchange your pass. When you get on the train, make sure that you get on the correct shuttle that leads to your destination. Train will be separated at Shimo-Imaichi sta. please refer to the information above. As mentioned earlier, only one round trip of Tobu Railway between Tokyo and Nikko (Asakusa Sta. – Shimo-Imaichi Sta.) is available for both passes. However, feel free to use unlimited transportation within area that is covered by your pass. One last important thing is type of train that is available in your pass. You can get on only Regular Train for both types of Nikko pass. If you prefer faster train, you have to pay additionally for SPICA, Revalty and Limited Express. Good News!! you can get discount for buying these additional tickets by showing your Nikko Pass. Once you reached Tobu-Nikko Sta., there will be bus stop right in front of the station and then you can catch bus to World Heritage Site. It is 20 mins away if you don’t mind walking. For those who consider buying these passes, I will break down and compare some points, so it can help you make decision.